Most of our studies and career development course focus on the specific knowledge and skills we need to do our work. There has always been a very strong emphasis on these so-called "hard skills", and with good reason - these skills are paramount if we're to do our jobs properly. In recent years, however, there has been more of a recognition that we need all manner of other skills to work effectively, perform optimally and get satisfaction from our jobs. These are the "soft skills", like interpersonal relationships, for example - how well we work with our colleagues. As a result of this recognition, it has now become virtually par for the course that the development of soft skills is an important part of grooming future leaders. They need to have the skills to deal effectively deal with the people who they manage. Not only this, but they need to pass on these skills to others so that everyone in the organisation can benefit. Whereas previous incarnations of our societies didn't pay much attention to the so-called "touchy-feely" side of work, we have now realised that we also need to consider these aspects when striving for a healthy work-life balance. If we don't create a proper balance in our work lives we run the risk of becoming less and less productive. That's why organisations place such an emphasis on the softer skills. It's the responsibility of leaders to teach those they work with about personal development and how to deal with life issues and the work-life balance. Have you ever noticed that most of the people who seem to cope with work without breaking a sweat, who never seem stressed and who always seem to have enough time to get everything done are the most experienced people in the organisation? That's because they have learned - often through trial and error - how to work efficiently. They have developed personal characteristics that allow them to perform well under pressure, without suffering in their personal capacity. This means that in order to do our work as effectively as possible - both for the company that employs us and in order to be healthy and happy - we need to develop specific skills. Among them are perseverance, calmness, patience and empathy. In short, to grow in our careers we need to grow as people too. Good leaders are able to teach these life skills to the people, both by mentoring them and by being observable examples. 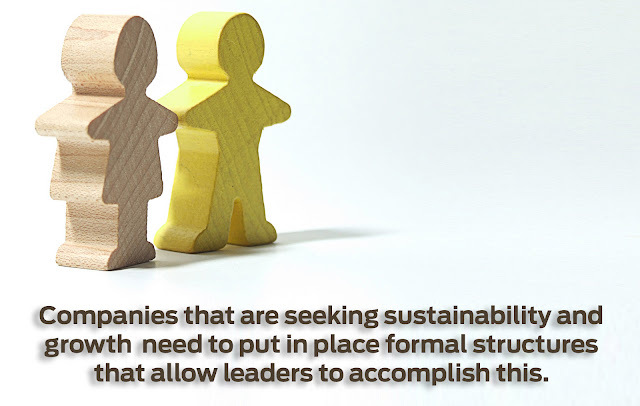 Companies that are seeking sustainability and growth need to put in place formal structures that allow leaders to accomplish this. The next generation of leaders needs to be identified early so that they can be put onto a company programme of personal development and growth, facilitated by the company leaders. Leaders themselves should be trained to be constantly cognisant of the importance of this personal development mentorship so that they are able to take advantage of opportunities to pass personal skills on at any point in their interactions with the people they manage. We have seen time and again that the most worthwhile investment an organisation can make is in the development of its people - to the extent that it becomes a no-brainer. It is the leadership that needs to drive this. What do you think leaders should teach? Share it with us here, or tweet us on https://twitter.com/EduloanSA.